The whiskey sour is a mixed drink containing whiskey (often Bourbon), lemon juice, sugar, and optionally, a dash of egg white. It is shaken and served either straight up or over ice. 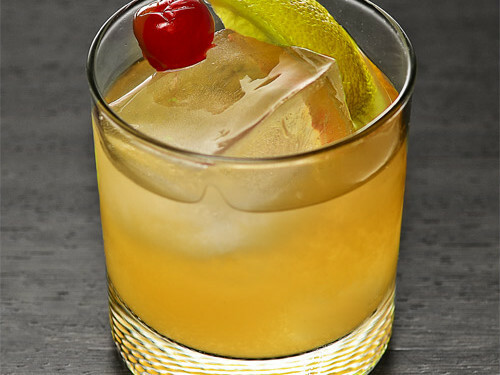 The traditional garnish is half an orange slice and a maraschino cherry.